Good fit. Good price. Good look. Only slight negative if I had to provide would be material is not as soft (thicker) most likely due to non-iron attribute. Very friendly and fast shipping. Custom fit shirt, great quality and patterns. Best of all: they are seriously the best non-iron shirt on the market. It's not even close. 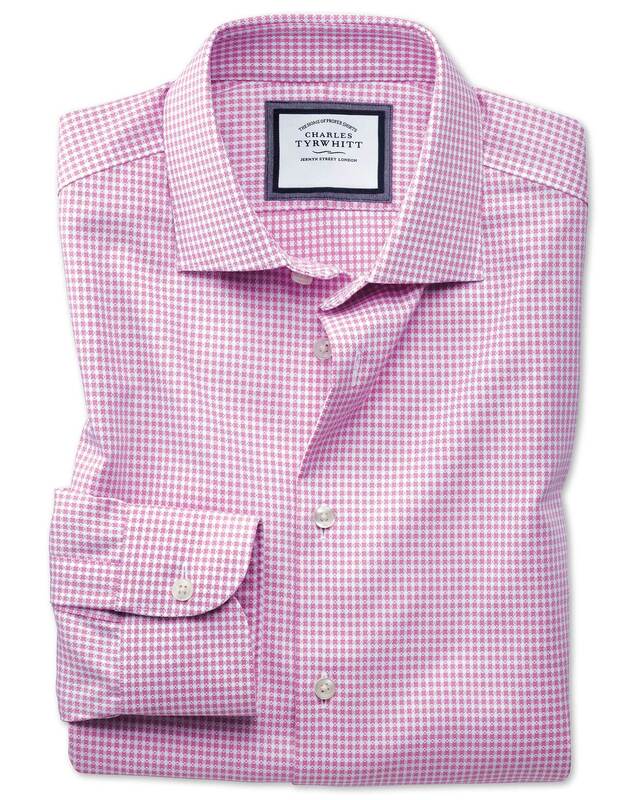 I used to buy exclusively Brooks Brothers shirts - and they're fine, too - but Charles Tyrwhitt is really in a league of its own. They look great, they feel great, they fit perfectly, and they're really comfortable. Solid quality you can feel, too. I love them! 4 months ago The shirts all fit great! 8 months ago Good fit. Good price. Good look. Only slight negative if I had to provide would be material is not as soft (thicker) most likely due to non-iron attribute. 9 months ago Very friendly and fast shipping. 9 months ago Custom fit shirt, great quality and patterns. 9 months ago Best of all: they are seriously the best non-iron shirt on the market. It's not even close. I used to buy exclusively Brooks Brothers shirts - and they're fine, too - but Charles Tyrwhitt is really in a league of its own. They look great, they feel great, they fit perfectly, and they're really comfortable. Solid quality you can feel, too. I love them!